These muffins are 100% inspired by our recent trip out to California. We were lucky enough to attend Billy's work conference at a very nice luxury resort in Huntington Beach where they really pampered us with some good food. Considering that it is California, they really stuck to a healthy "California" themed menu and avocados were all over the place! Even in the muffins! I had never even heard of baking bread or muffins with avocados before (as the main ingredient and not a substitute for butter), but I have to say, I was pleasantly surprised! The avocado itself doesn't actually provide a whole lot of flavor. But there is a subtle richness to the muffins that make them delicious all on their own. No fillings or mix-ins needed! However, I can totally see myself making these muffins again and mixing in some blueberries, almonds, or any other favorite muffin mix-in! First, cream together the mashed avocado and sugar just like you would butter and sugar. Then, mix in the flours, baking soda, baking powder, and salt. Then mix in the milk until smooth. I used a combination of whole wheat and all-purpose flour for these muffins to make them slightly healthier and I love the nutty flavor whole wheat flour provides. Then spoon the muffin batter into a lined muffin tin. One thing I think these muffins need so they aren't so plain is a little sprinkle of turbinado sugar. It creates a really crunchy sweet top that makes these muffins even better! Finally, just bake until the tops are golden brown, about 20 minutes. And there you have it. Super yummy avocado muffins! Who would have thought of making a muffin with an avocado? I guess I have to thank our trip out to Huntington Beach for this one! Preheat oven to 350 degrees. Line a muffin tin with muffin tin liners. 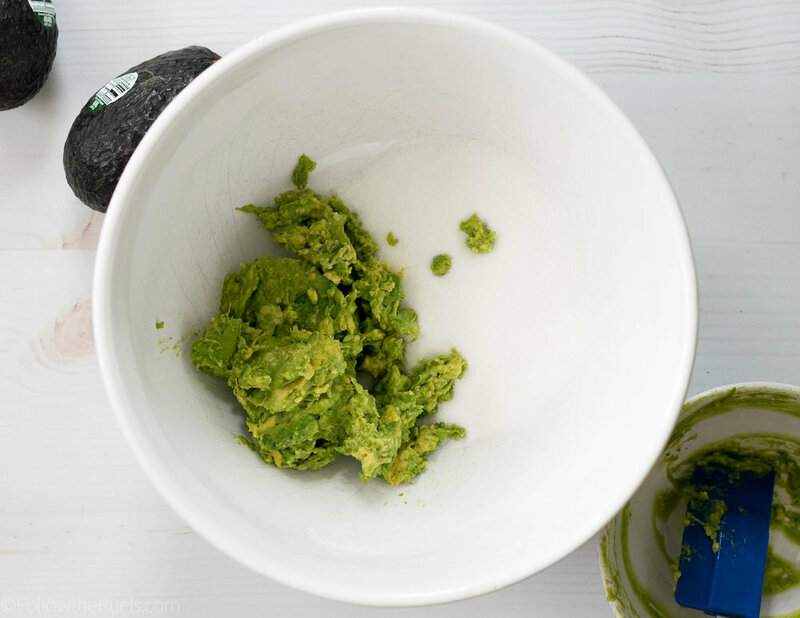 In a large bowl cream together avocado and sugar until very few clumps of avocado remain. 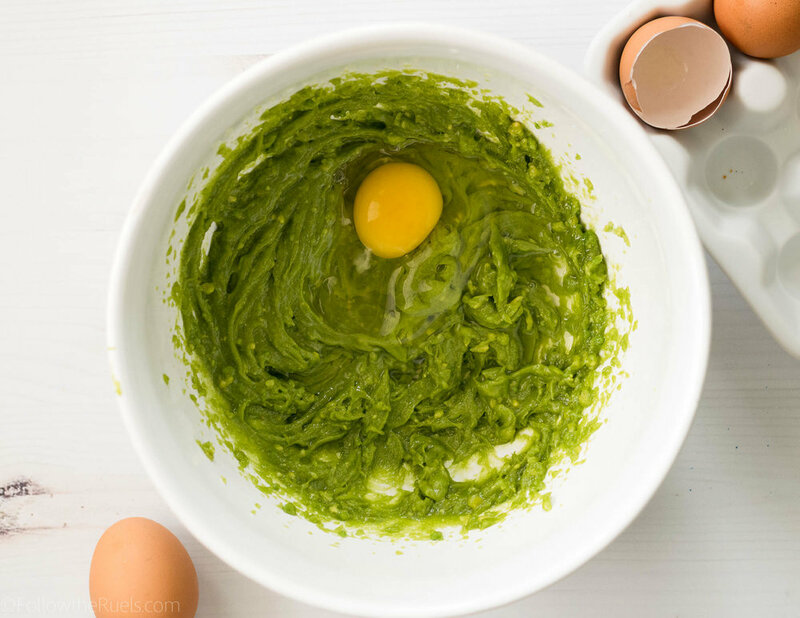 Mix in both eggs until smooth. 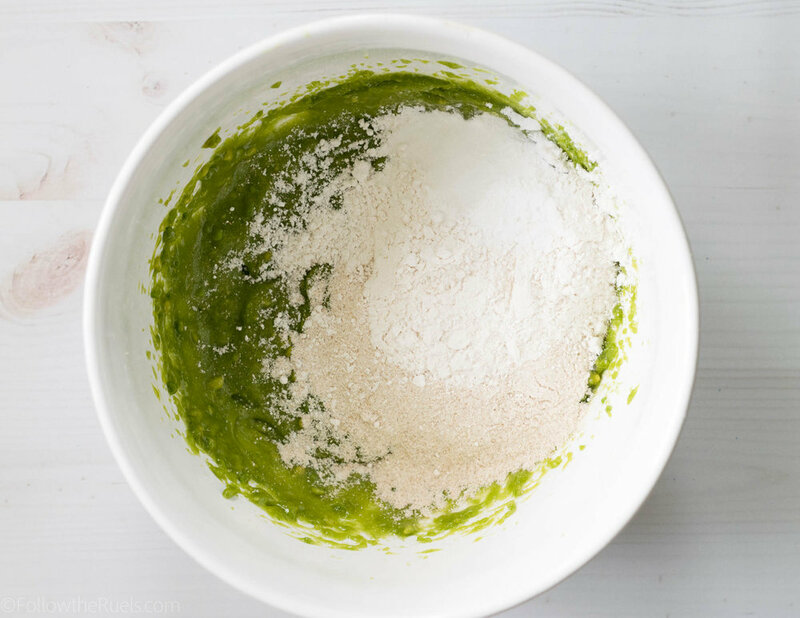 Then mix in flours, baking soda, baking powder, and salt. Finally, mix in the milk and almond extract. Portion the batter between the muffin tins. Sprinkle turbinado sugar on top then bake for about 20 minutes, or until tops are slightly brown and a toothpick comes out clean. This muffin provides a good base for any other muffin mix in you like. You can mix in blueberries, strawberries, almonds, lemon zest, etc.